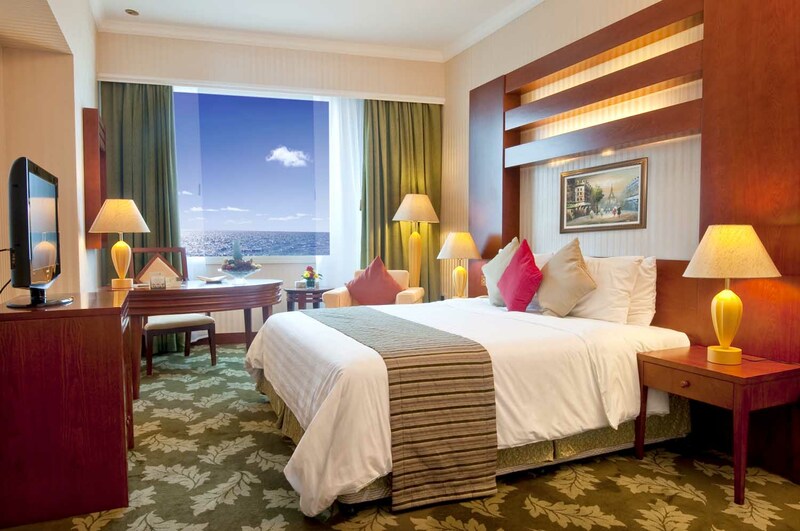 This elegantly decorated room Overlooking the Arabian Gulf features a 32-inch LCD satellite TV, WI-FI., A bathrobe, Slippers, a bathroom with bathtub/Shower and a working desk are also available. 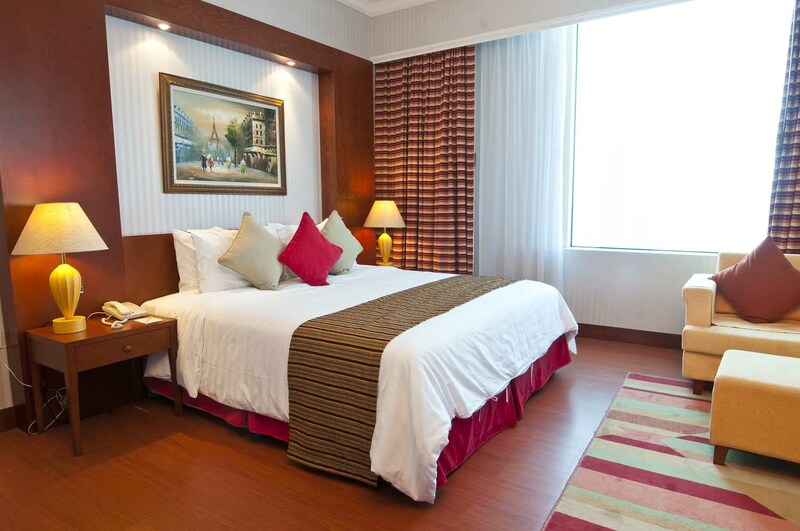 Room Size: 37 square meters. Bed Size: King Size Bed.